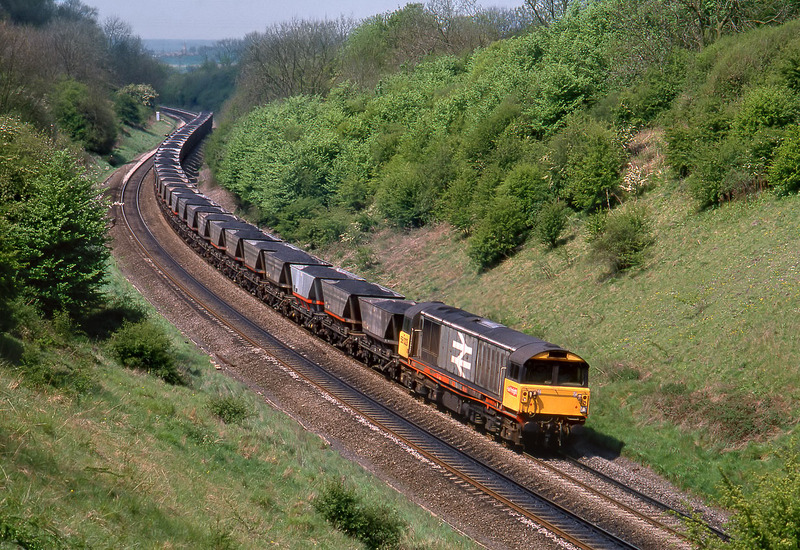 58023 climbs the gradient past Harbury on 10 May 1989 with the 7V09 08:41 Markham Colliery to Didcot Power Station MGR. All is now history. 58023 is no longer in service, and neither are the vintage HAA wagons it is hauling. Not only has the train gone, so has the view. A wall of trees and bushes now blocks out this once iconic viewpoint.